Where is Arbutus wood available? I am looking for some Arbutus wood for carving. Any info on dead standing or ethically harvested wood would be appreciated. Comments for Where is Arbutus wood available? I have some beautiful madrone trees ! 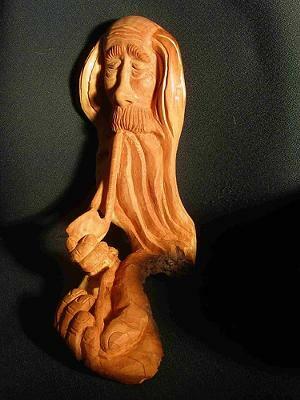 These are magnificent carvings and sculptures that you do! Quite the works of art! Since you live in the BC interior, it is unlikely that you will find Arbutus trees there as they prefer to live near the sea. You could then walk the beaches facing south and west and you would find dead trees and branches that you could gather. You also may love the characteristics of Manzanita wood which is even slower growing than Juniper. And it has such amazing shapes. If you can come to Cortes, I would be happy to take you out on a hunt for some choice pieces. Just drop me a line! ps. You may be able to buy Arbutus wood through lumber yards on the coast but it will most likely not be the twisty types that you like.